For an author, seeing one of your books return to print is like running into an old friend that you haven’t seen for years. So, I am excited to see the return of The Memoirs of H.H. Lomax, starting this summer. 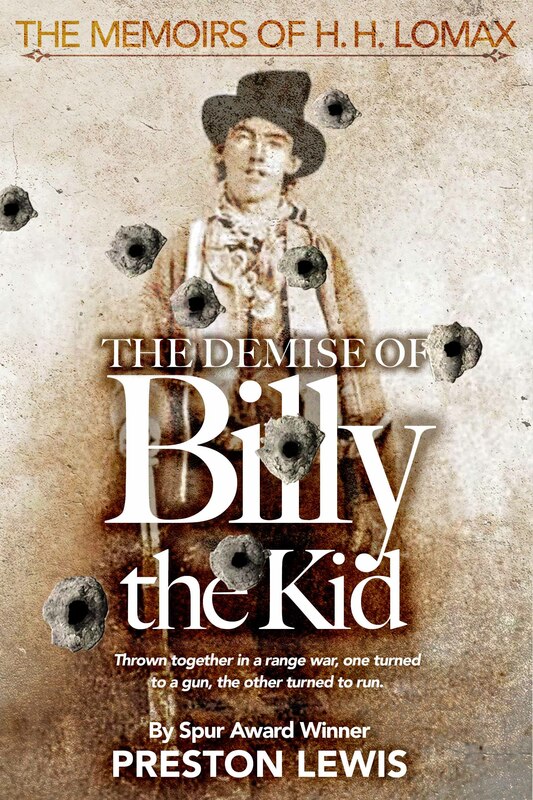 I wrote three books in this series in the mid-1990s, and the first of those, The Demise of Billy the Kid, is on schedule for re-publication this summer. I just got the initial look at the new cover for Demise and am well pleased. Back in the early 1990s, I was approached by Bantam and Book Creations Inc. to develop an offbeat character that just happened to create a mess wherever he went in the Old West. Thus, was born H.H. Lomax, my favorite character of all those I have created over the years. Lomax was distinctive enough to actually get a mention in the Wall Street Journal when he first appeared on the publishing scene. 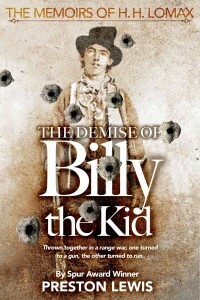 In line with the publisher’s request to put him in the middle of things, Lomax wound up being tailed by Billy the Kid the night the outlaw died. Lomax rode with Jesse James on his first bank robbery and actually knocked the picture askew that Jesse was straightening the day he was shot in the back. And, after Lomax became the first person in literary history to have a tooth pulled by the notorious frontier dentist Doc Holliday, he—not Doc—actually fired the first shot at the Gunfight at the O.K. Corral. Implausible? Not according to Lomax, who recounts his adventures in his own cynical voice in his memoirs. I am in the process of researching the Battle of Little Bighorn so Lomax’s adventures can continue after the first three books in the series are reprinted. All I can say is watch out General Custer! So, welcome back Lomax! The new book cover marks your return and a continuation of your offbeat western adventures.